With more than 90% of government revenue coming from oil and gas, Timor-Leste is one of the world’s most resource-dependent countries. Yet despite these resource riches, over 40% of the population live below the poverty line, 30% of adults can’t read and 70% of people live in rural areas with limited health services. For women, these circumstances are felt even more acutely. 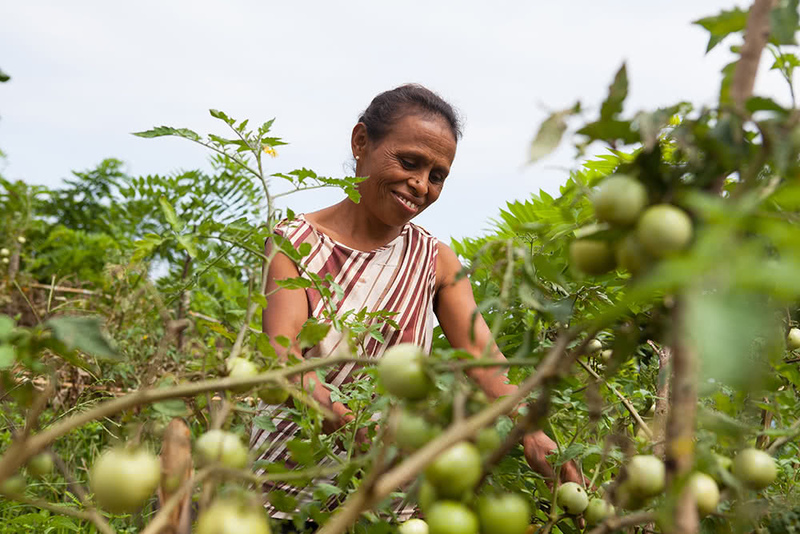 CARE has been working in the Timor-Leste region since 1994. After the country gained independence in 1999, a CARE Timor-Leste office was established with programs focused solely on the new nation. 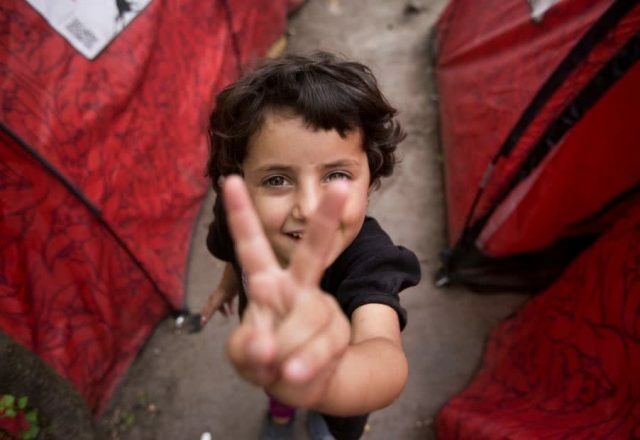 Our current programs focus on families in disadvantaged areas and aim to achieve better education for children and adults, more babies being born safely, improved skills of health workers, and greater resilience of communities in the face of natural disasters and the effects of climate change. In Timor-Leste, 30% of men and almost 40% of women over the age of 15 are illiterate, severely limiting their future opportunities. Tackling high illiteracy rates is a vital step in helping families overcome poverty and unlocking Timor-Leste’s enormous potential. 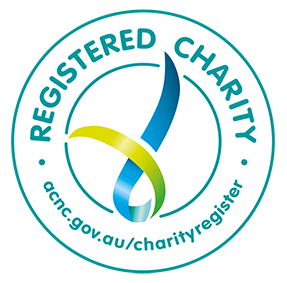 Since 2000, CARE Australia has produced and distributed an educational magazine called Lafaek, which teaches adults and children alike through colourful and informative articles. These magazines, distributed three times per year, provide vital messages for families and communities around health, hygiene, nutrition and agriculture. Lafaek Ki’ik and Lafaek Prima reach all students from grades 1-4 in primary schools across Timor-Leste – that’s around 195,000 children. The magazines teach students basic literacy and numeracy skills and give them positive messages about equal opportunities for boys and girls. 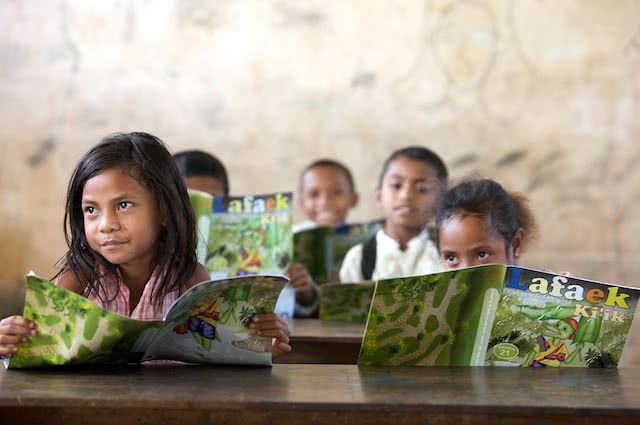 Lafaek Ba Manorin reaches 10,000 teachers with educational tools and Lafaek Komunidad gives around 85,000 households, or 45% of Timor-Leste’s population, valuable information on healthcare and agricultural practices. Learn more about the Lafaek Educational Magazine. In Timor-Leste, 70% of people live in isolated, rural villages with poor roads, making the journey to larger towns – where health clinics are – long and dangerous. As a consequence, many women in Timor-Leste don’t receive the care they need during pregnancy and childbirth or in a child’s first year of life. 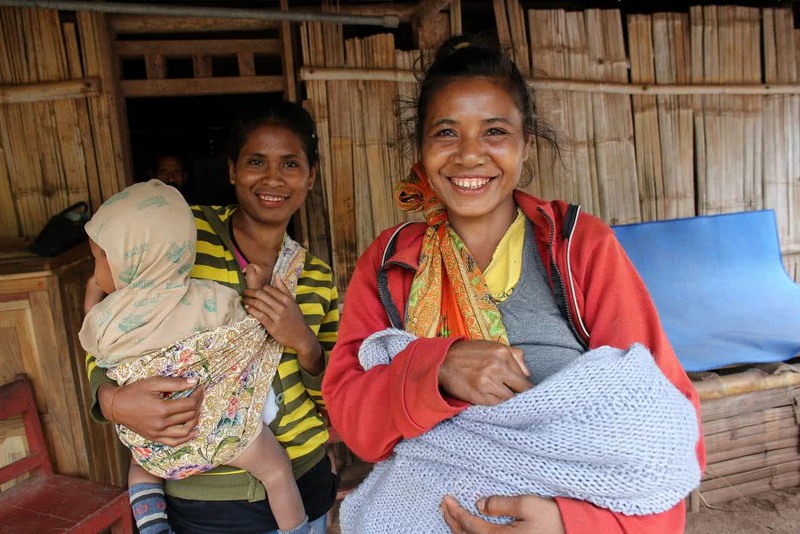 CARE’s Safe Motherhood Project is working in nine villages in south-western Timor-Leste to reduce the number of mothers dying in childbirth, by teaching them about health and nutrition, improving the capacity of local health services, and ensuring more women can access these services. 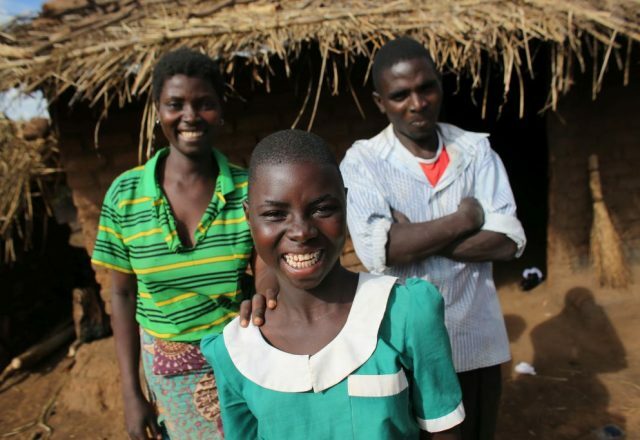 To give women the knowledge and confidence to access sexual, reproductive and maternal health services, CARE has trained community volunteers to lead Mother’s Caring Groups and invested in training local midwives and doctors to build their capacities and skills. 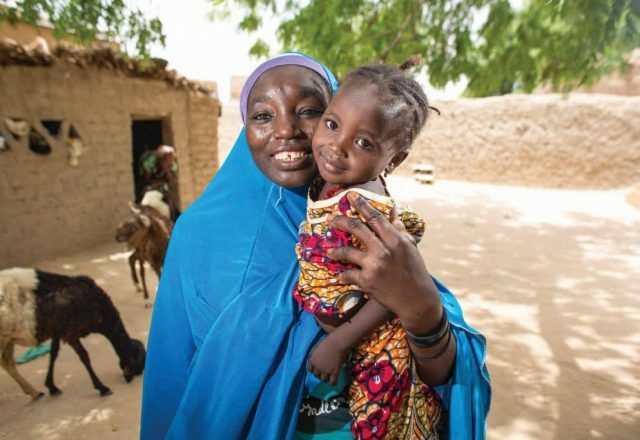 With increased knowledge of maternal health, nutrition and family planning and better health services closer to home, more women are giving their babies a healthier start in life. In 2016, the El Nino-driven drought caused severe food and water shortages in Timor-Leste, affecting around 120,000 people. Women and girls were most severely impacted by water shortages increasing the burden of women’s traditional chores including collecting water, washing clothes and cooking. CARE is working with communities to build their resilience to shocks and disasters like this drought. We are running educational sessions to improve families’ knowledge about crops, nutrition and water management. As part of this, we are encouraging locally-appropriate farming practices including seasonal crop rotation and the use of drought-resistant vegetable seeds to help prevent food shortages. We are also helping communities to better manage their water by providing water filters and storage containers. Overall, we are helping 8,460 people in the southern coastal districts of Timor-Leste. When CARE first began a Safe Motherhood Project in her village, 43-year-old Maria was the first to put her hand up. 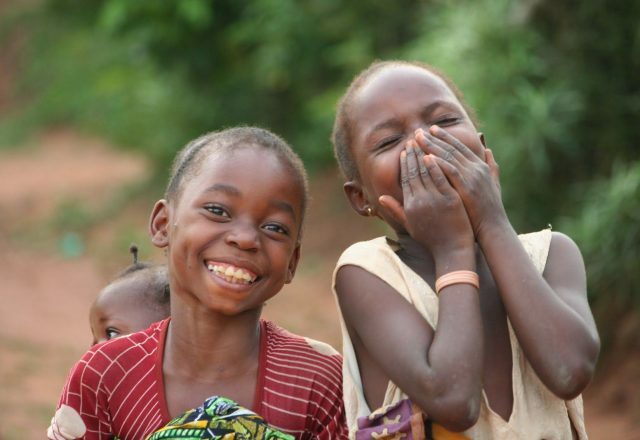 “Before CARE came, children were often getting sick from malaria and malnutrition. – Visit CARE’s Electronic Evaluation Library for evaluation reports from Timor-Leste and other countries. Learning from community-based adaptation in PNG, Timor Leste, Vanuatu and Vietnam. CARE's report on developing local capacity and effective partnerships. The on-going work we do in Timor-Leste is in partnership with these local organisations: Ra’es Hadomi Timor Oan (RHTO), Roman Luan, Servicu Saude Municipio (SSM): previously District Health Service)/ Ministry of Health, and Sharis Haburas Comunidade (SHC).